The Trust is a registered charity established in 1995 by the British Society for the History of Medicine and the Scottish Society of the History of Medicine. 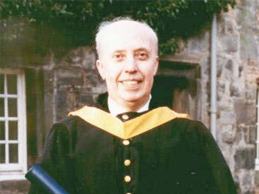 John Blair had been President of both Societies and had played a major role in organising meetings whose financial success led to the formation of the Trust. The purpose of the Trust is “The promotion of the study of the history of medicine by undergraduate students of medicine and allied sciences”. The Trustees invite applications from undergraduates in medicine and allied sciences throughout the UK, for grants-in-aid, up to £150, to enable them to pursue their studies in the history of medicine. Such applications might include funding for necessary photocopying, research fees and any other incidental or enabling expenses.